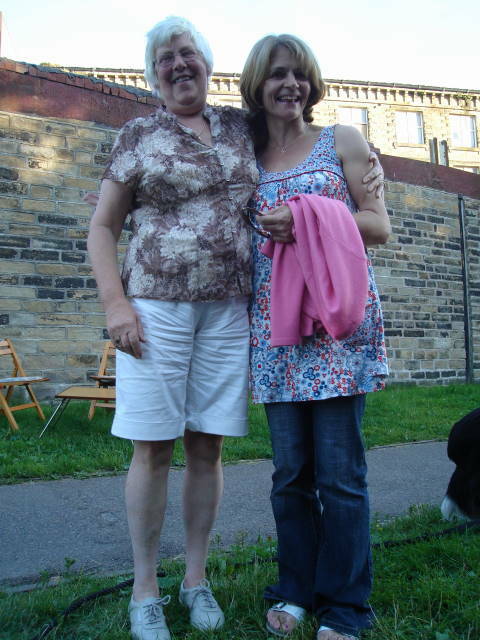 Tow path picnic at Gargrave. 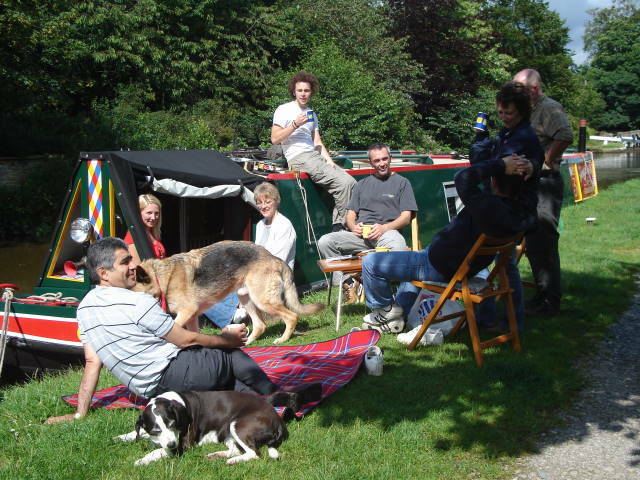 Kaz, Simon, Lu and Mike, Julie, Dan’s wife sarah, my son Nic and Paul, plus dogs of course. 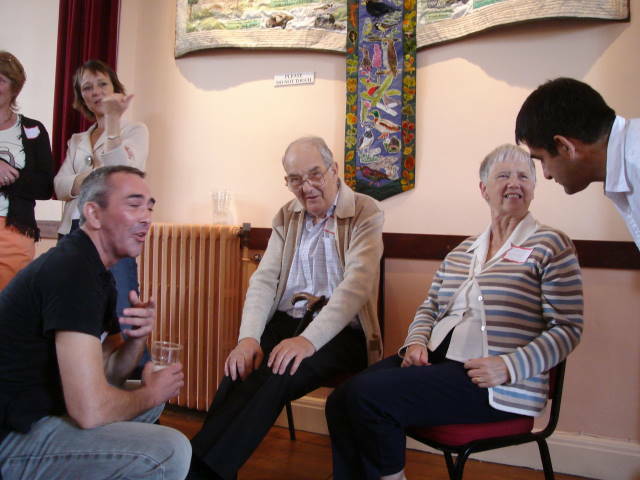 My brother Simon and Lucy’s husband Mike meet Uncle Richard and Aunt Elsie. Lucy in background. 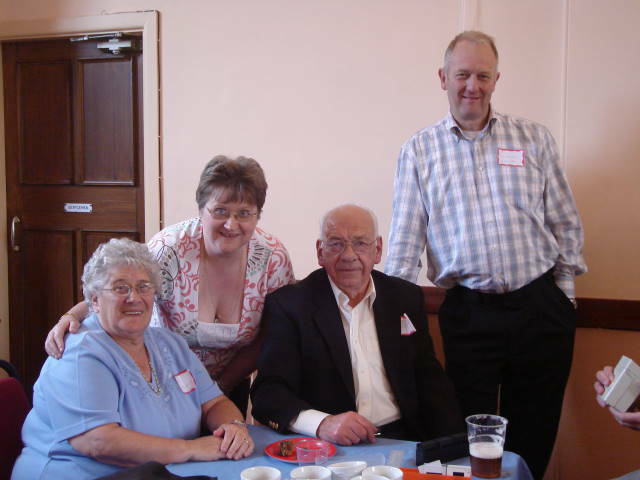 Eldest brother to my father Uncle John, wife Nora with their daughter Lorraine, and Uncle Richard’s son Norman. 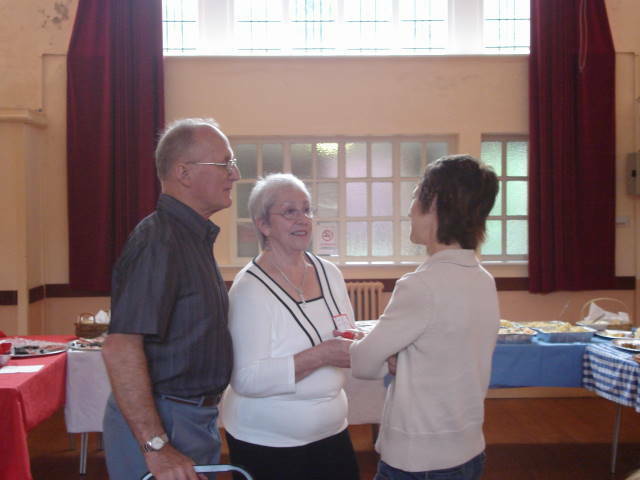 Uncle Richard’s only son Norman and his wife Margaret. 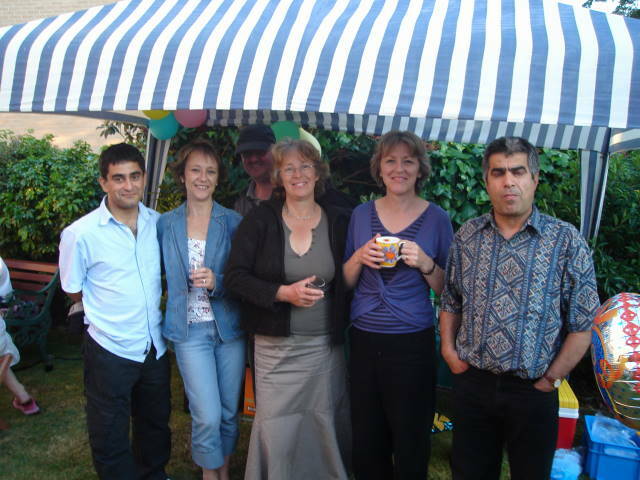 Norman is the eldest cousin – I am the second eldest cousin. 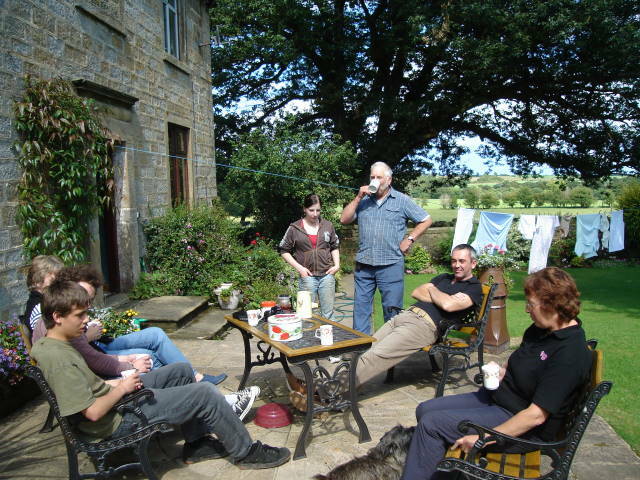 Lucy meets old family friends who live in Malham. 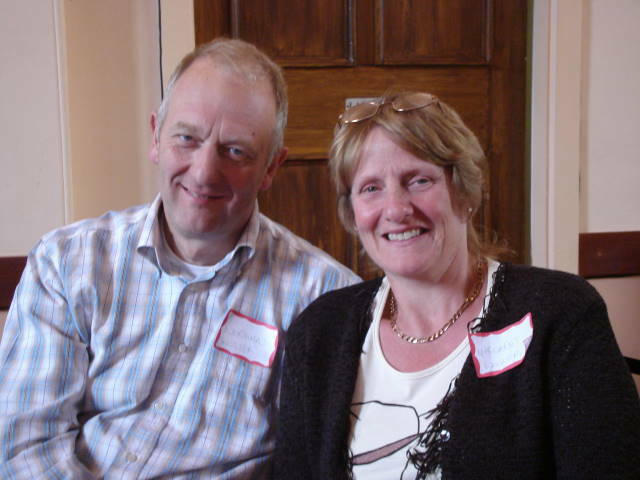 They knew the Woolers when they were young, and Mum and Dad when they were at school in Skipton. Lucy can you let me know their names please? 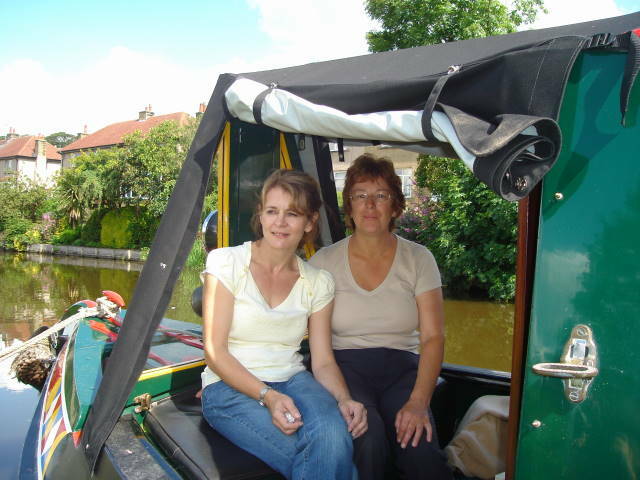 Me and cousin Nicky, Valerie’s eldest daughter, sitting on the boat. 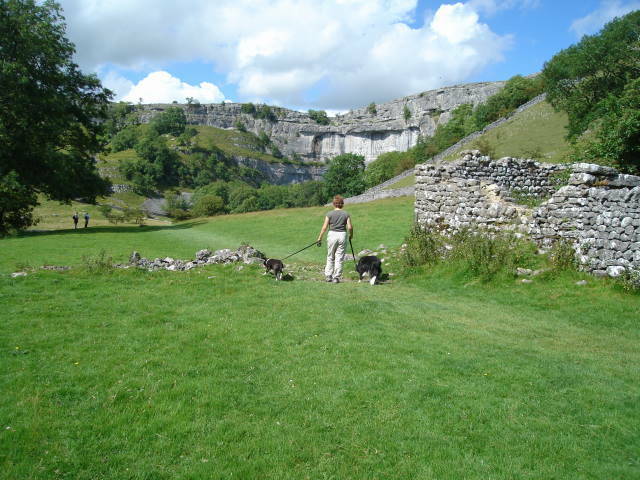 Janet’s Fosse near Malham Cove. 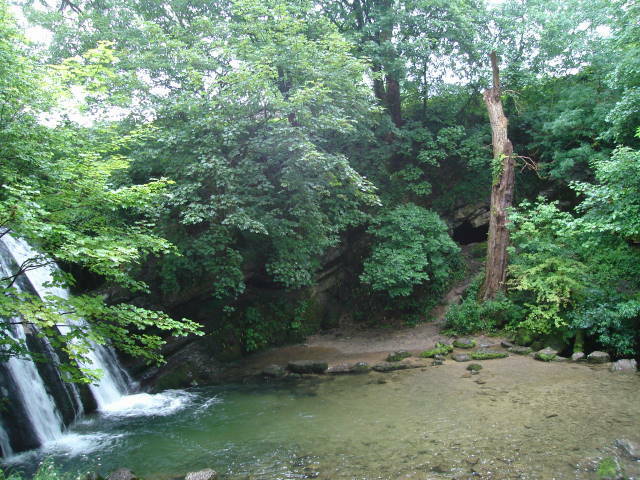 Spot the cave….the dark hole near the tree trunk. This is where dad used to run and hide some nights when he was a lad. The plaque in Kirkby Malham churchyard, opposite the cottage where the family lived when dad was a boy. 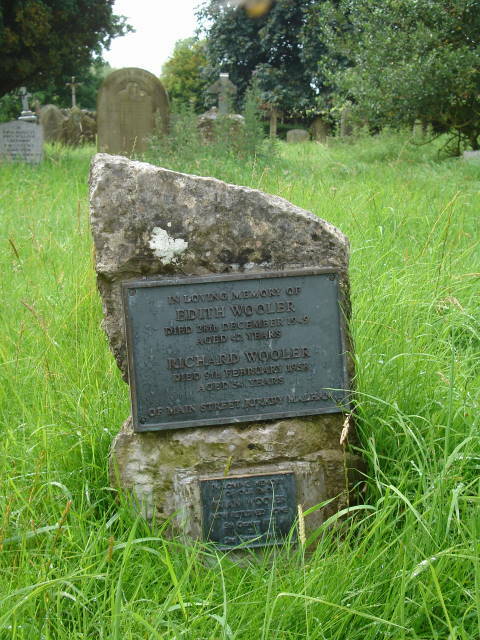 The large plaque is a memorial to Richard Wooler (Dad’s father) and his wife Edith, who were burried somewhere there. The smaller plaque remembers Dad, ‘Brian come home at last’ (I think it says something like this). Half Dads ashes are burried beneath. 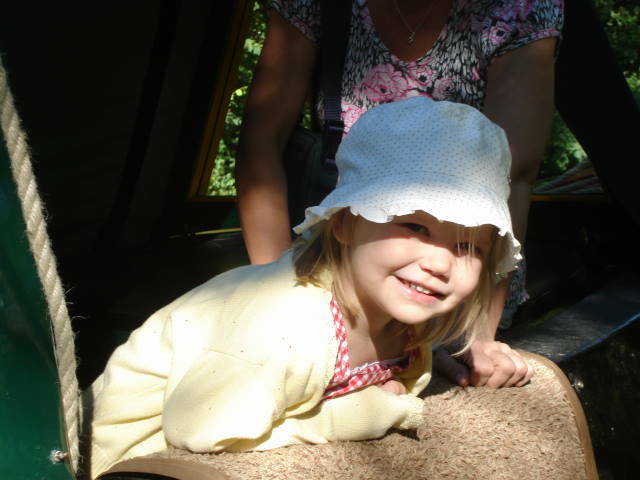 Thanks to Uncle John for arranging this. Laid in the ground before Dad’s stone is this memorial for Aunty Valerie. 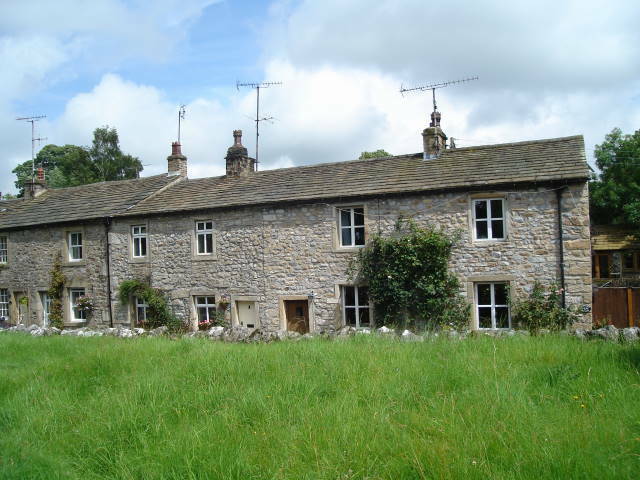 The cottage in Kirky Malham is the one with the brown door. Much developed since the days when Dad and his 5 brothers, 3 sisters and parents lived there. Ermistead Grammar school where John, Brian and Peter went to school as boarders. Dad told us of the last day of term when he stood at the door with his suitcase not knowing where he was going to spend the school holiday. He stayed with the headmaster on one occasion, but he was taken under Peter Stocks wing and invited back to their family home. Peter Stocks parents were wealthy mill owners. Uncle Peter had a similar friendship with a family called the Harrisons. 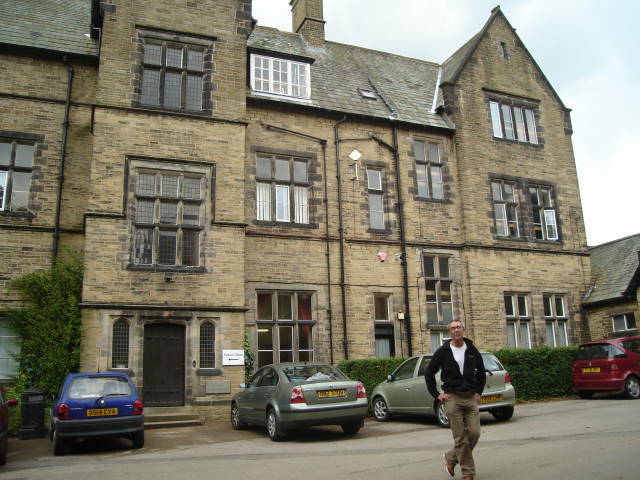 Paul and Aunt Marg outside the building in Skipton which was the children’s home. This was where Edith, Margerie, Valerie and Barry stayed when the family were slit up. Their mother died at 42 and their father spent his final years before his death at 54 in hospital. 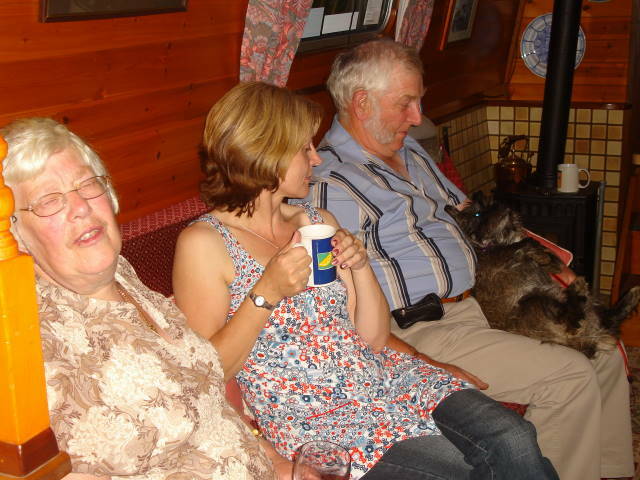 Margerie, Nicky and Uncle Pat (cuddling the dog – ahhh what a softie) relaxing after supper (and wine) with us on the boat. Walking through the fields to Malham Cove. Yes Roly made it there and back – but it was a slow walk with lots of rests. 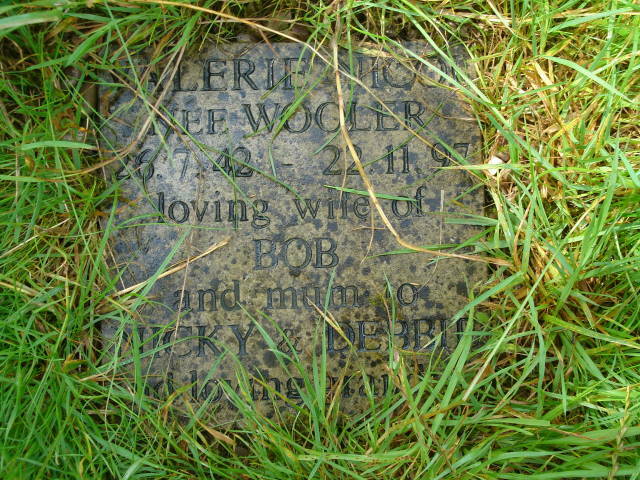 Gravestone in Kildwick churchyard. Situated quite near the door, so was this a wealthy branch of the family? 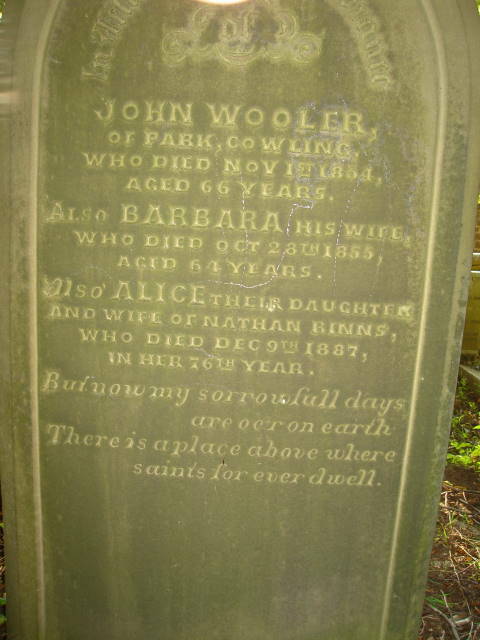 John Wooler is a name that occurs again and again through the generations. Have yet to establish the link to the direct line through Dad. 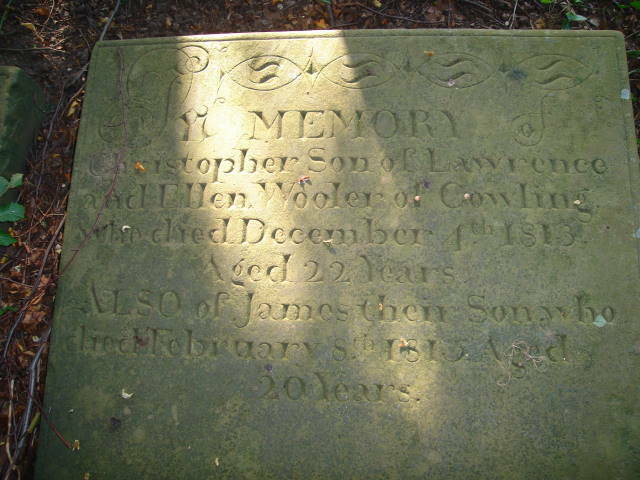 Christopher and Lawrence were names not seen in our line of the family. 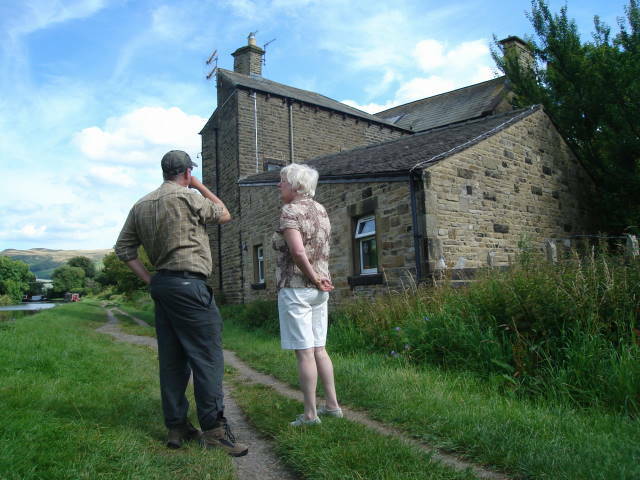 Research has shown that some of the Cowling Woolers were weavers.